For anglers who are looking for that perfect place to experience wilderness fishing but don’t want a fly-in location, Anderson’s Lodge in NW Ontario is your best bet. 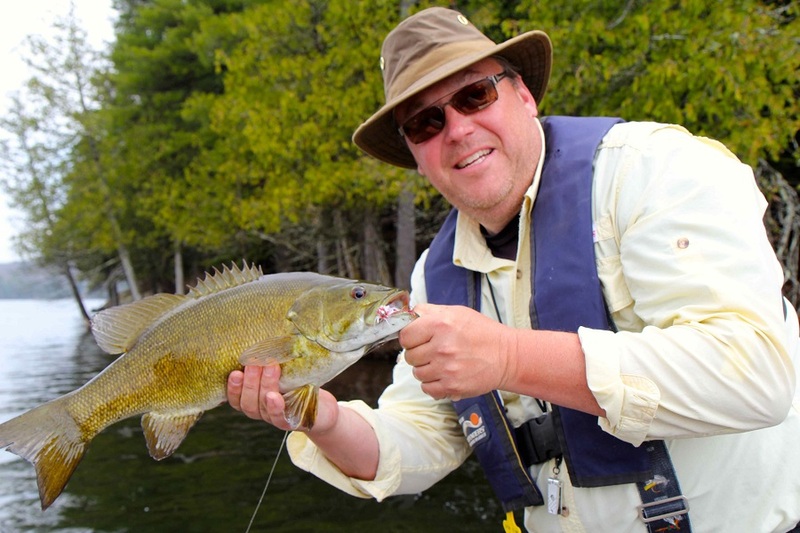 Host Bill Spicer from The New Fly Fisher drove to Anderson’s Lodge, which is located near Sioux Lookout, to try the musky, pike and bass fishing. For any kind of angler this is heaven. Whether you want to cast for large trophy-sized fish or even troll, the lake has every type of fishing you could want. During the day using subsurface flies like streamers worked well for all species. In the evenings and early mornings, switch to topwater flies of various sizes to entice pike and bass into vicious surface takes. Recommended colours include: black, yellow, white and chartreuse. You should bring six or seven weight rods for the bass, and for the pike/musky Bill would recommend nine or ten weight rods with fast actions. Anderson’s Lodge can accommodate small or large groups and possesses excellent guides to help you get onto fish quickly.